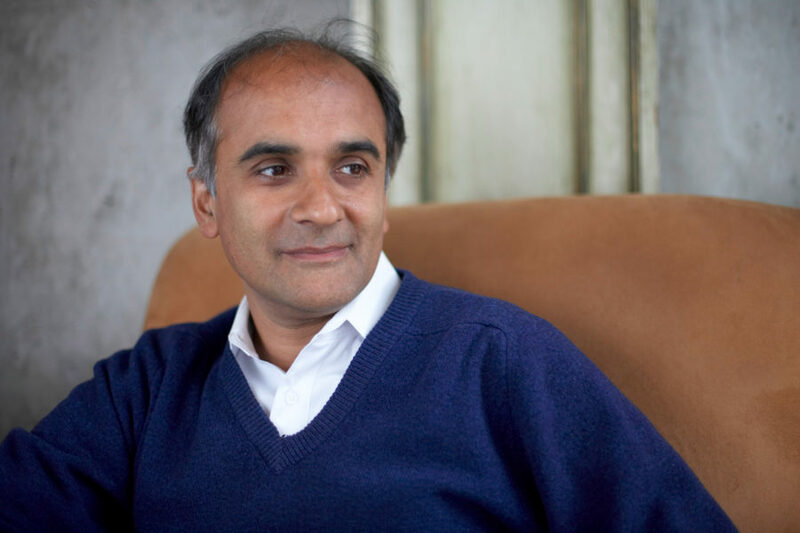 “The point of gathering stillness is not to enrich the sanctuary or the mountaintop, but to bring that reality into the motion, the commotion, of the world.” Wanderer and writer Pico Iyer on outer stillness as an essential catalyst to a rich inner life. Image by Derek Shapton/Simon and Schuster, © All Rights Reserved. KRISTA TIPPETT, HOST: In so many ways, I see the new dynamics of spiritual life in our time as gifts to the wisdom of the ages, even as they unsettle the foundations of faith as we’ve known it for what feels like forever. The transfer of knowledge across boundaries of religion and culture and science is strengthening the efficacy of spiritual technologies. It is making the practice of virtues, indeed the elements of righteousness, more humanly possible. So is the profusion of ways modern people are finding to explore what the wise writer Pico Iyer, one of those people who routinely retreat to a hermitage, calls the “inner world” and the “art of stillness.” Our greatest aspirations and virtues have always relied on a measure of inner equanimity. And this is something many of us are learning to tend better, more consciously, precisely as the noisy world feels like it is pulling us apart. 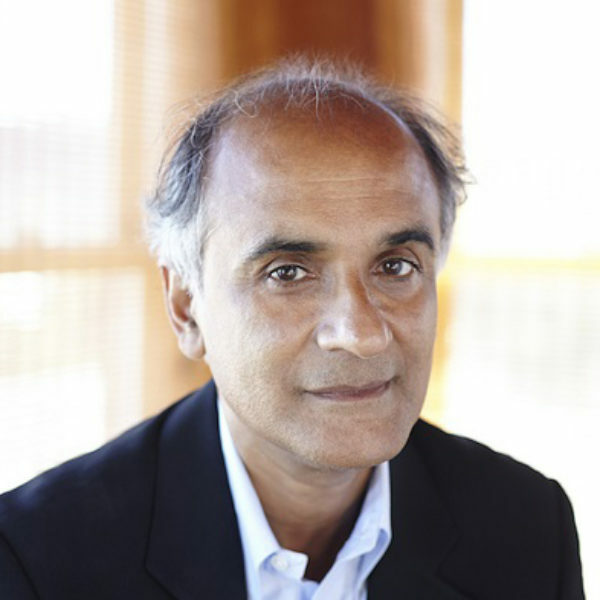 Pico Iyer is not a spiritual teacher or even, he says, a spiritual person per se. But with degrees from Eton, Oxford, and Harvard, and a quintessential lineage in the 21st century’s global spiritual melting pot, he’s lavishly equipped to bridge intellectual and spiritual worlds. In his family life and his full name — Siddharth Pico Raghavan Iyer — there are influences of the Buddha, a Renaissance Catholic heretic, Hindu priestly culture, and theosophy. PICO IYER: I grew up traveling a lot — first being born to Indian parents in England, and then we moved to California when I was seven. And in those days, it was actually cheaper to continue getting my education in England and flying back to my parents in the holidays than to go to the local private schools. So from the time I was nine, I was living on planes and flying across the North Pole to school by myself. And then when I was loose upon the world in my 20s, I quickly, literally tried to map the world and to see as many places as possible and try to take in — I always remembered that I felt I was part of the first generation ever to be able to wake up one morning and to be in Tibet or Bolivia or Yemen the next day. My grandparents couldn’t have imagined that. MS. TIPPETT: It’s one of the things that’s worth pausing every once in a while and taking in, isn’t it — this dramatic change in our lifetime. MR. IYER : Yes, and also the dramatic change that goes with it, that my grandparents almost had their home and their community and their tribe and their religion handed to them at birth, whereas I felt that I could, in some ways, create my own. Which is a challenge, but it was a beautiful opportunity. And at some point, I thought, well, I’ve been really lucky to see many, many places. Now, the great adventure is the inner world, now that I’ve spent a lot of time gathering emotions, impressions, and experiences. 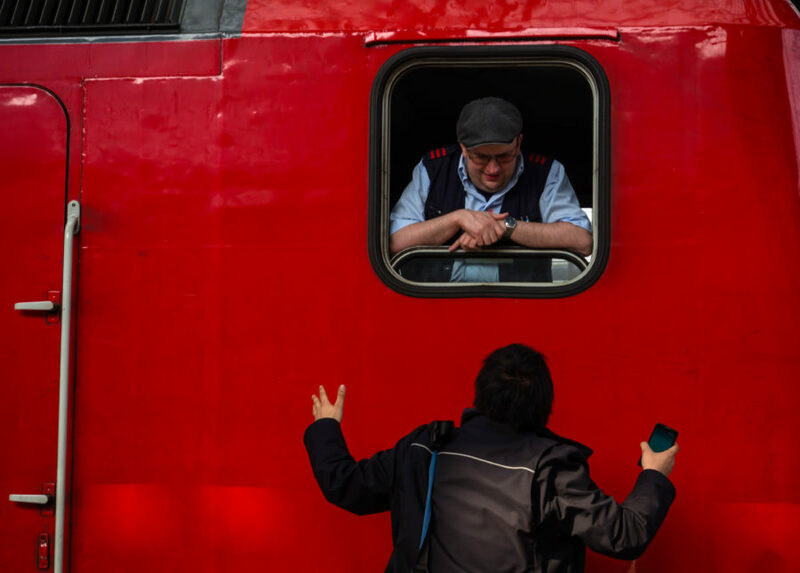 Now, I just want to sit still for years on end, really, charting that inner landscape, because I think anybody who travels knows that you’re not really doing so in order to move around — you’re traveling in order to be moved. And really what you’re seeing is not just the Grand Canyon or the Great Wall, but some moods or intimations or places inside yourself that you never ordinarily see when you’re sleepwalking through your daily life. I thought, there’s this great undiscovered terrain that Henry David Thoreau and Thomas Merton and Emily dinkinson fearlessly investigated, and I want to follow in their footsteps. MS. TIPPETT : You’ve given a name to this life you lead, to what I would call a contemplative practice, which is “stillness.” I think it’s such a wonderful way you’ve injected that word in your writing and into our cultural discourse. I wonder, can you trace when you started to use that word to name this impulse in you in this way? MR. IYER : I think I can, very distinctly. As I said, I’ve always traveled a lot, and even in my 30s, I noticed I’d already accumulated one million miles on a single United States airline. So I realized I have a lot of movement in my life, but not maybe enough stillness. And around that same time, our family house in Santa Barbara burned to the ground, and I lost everything I had in the world. I bought a toothbrush from an all-night supermarket that evening, and that was the only thing I had the next day. So I was unusually footloose. A friend who was a schoolteacher recommended that I go and spend a few days in a Catholic hermitage. And although I am not Catholic, and although I am not a hermit, he told me that he always took his classes there and even the most distracted, restless, testosterone-addled adolescent boy felt calmer and clearer when he went there. So I thought anything that works for an adolescent boy ought to work for me. And I got in my car, and I drove north along the coast following the sea, and the road got narrower and narrower, and then I came to an even narrower barely paved road that snaked up for two miles to the top of a mountain. I got out of my car at this monastery, and the air was pulsing. It was very silent, but really the silence wasn’t the absence of noise, it was almost the presence of these transparent walls that I think the monks had worked very, very hard to make available to us in the world. And I stepped into the little room where I was going to stay, and it was simple. But there was a bed and a long desk, and above the desk a long picture window, and outside it a walled garden with a chair, and beyond that just this great blue expanse of the Pacific Ocean. One thing I noticed was when I was driving up, like many of us, I was conducting all kinds of conversations or arguments in my head, and I was feeling guilty about leaving my mother behind, and I was worried that my bosses wouldn’t be able to find me for three days. And as soon as I arrived in that place, I realized that none of that mattered and that, really, by being here, I would have so much more to offer my mother and my friends and my bosses. The last thing I’ll say about this is that nowadays my mother lives in the hills of California at exactly the same elevation as the monastery — 1,200 feet, and she enjoys a beautiful view over the Pacific Ocean. And to anybody looking at her house, they would say it’s the last word in tranquility and seclusion. But of course, when I’m at home, if ever I’m tempted to read a book, a part of me is braced for the phone to ring or the chime of “you’ve got mail” in the next room. So I interrupt myself even if it doesn’t interrupt me. And if ever I’m tempted to look at the stars, I think, oh no, there are a thousand things I have to do around the house or around the town. Or if I’m involved in a deep conversation, I think, oh, the Lakers game is on TV. I should do that. And so one way or another, I always cut into my own clarity and concentration when I’m at home. And it reminds me why sometimes people like me have to take conscious measures to step into the stillness and silence and be reminded of how it washes us clean, really. So I’ve been going now for 24 years. I’ve stayed there more than 70 times. I really think that’s my secret home. In a world of change and sometimes impermanence, that, along with my wife and my mother, is really the still point of my world. Wherever I’m traveling in the world, I have the image of that little room with the Pacific below it in my head and the chapel there too. And I feel that really steadies and grounds me in the way I need in a world of tumult.